Corned beef has always been considered as breakfast food. 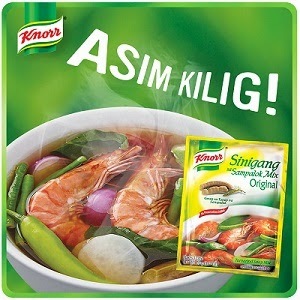 But with a hint of Pinoy ingenuity and with Knorr Sinigang Mix as your dish partner, you can have it in your bowl any time you want! 1. In a large pot, boil together water, onion, tomatoes, and gabi. 2. When gabi is tender, add the corned beef, labanos, sitaw, and Knorr Sinigang Mix with Gabi. 3. When vegetables are cooked, add the kangkong leaves. Remove from heat and serve with hot rice.